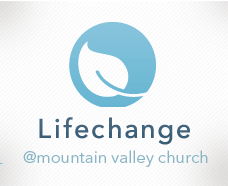 Great to be back with the team at Mountain Valley Church in Scottsdale this weekend. I love leading at MVC because the team here is willing to do some creative things that many churches I work with might never try. There is a genuine effort to know who is showing up. Then they attempt to do things in a way that connects historical faith to the modern culture they are living within. Because of the recent earthquake and tsunami in Japan, MVC wanted to give people in their church the opportunity to help. They know I’m a World Vision Artist so they asked us to bring information on World Vision’s relief efforts in Japan. We were very excited to see people respond generously and donate $715 to help the people affected by this heartbreaking tragedy. I love seeing people motivated by hope to engage with the needs of humanity…it moves me at my core. If you want to contribute to a trustworthy organization that is on the ground making a lasting difference in Japan, CLICK HERE. Over the times I’ve led at MVC, they have been generous enough to let me bring in several new songs. This week I had the chance to introduce a hymn that I arranged and wrote a new chorus for. I hope to record it on an upcoming project. Sign up for my e-mailing list to make sure you are notified of release dates.